An Ancient Solar System...: The Universe in 101 words: Where's the loneliest place in the Universe? The Universe in 101 words: Where's the loneliest place in the Universe? Above: A map of part of the web of galaxies that fills our Universe. If it seems far to our nearest stellar neighbour, Proxima Centauri, remember: Some star systems wander between galaxies, millions of light years from anything. 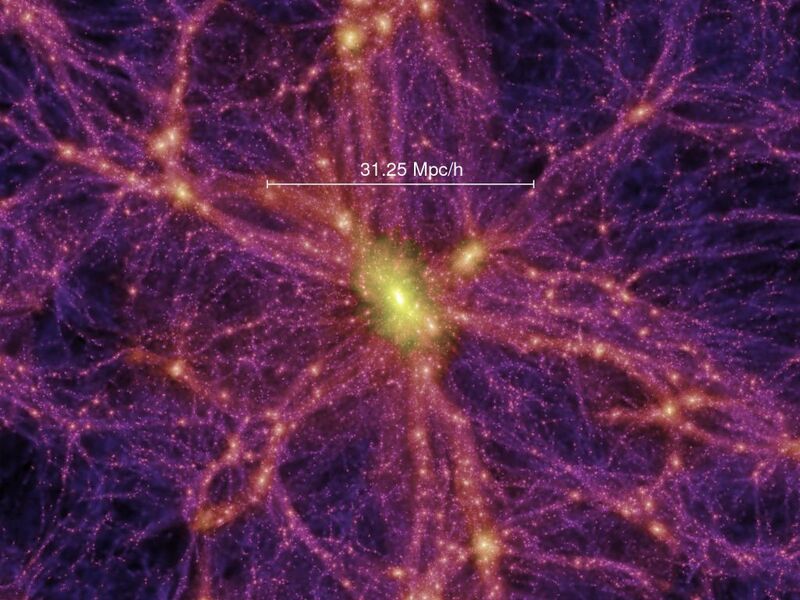 The loneliest are probably somewhere in the Bootes void, a huge gap in the web of galaxies that spans our universe. You've read our science facts - have you tried our science fiction? You can pick up our book on Kindle for 99p, or as a paperback, by following this link. Above: The Amdromeda galaxy, which is 2.5 million light years from Earth - but so big it's faint spiral arms cover as much of our sky as a full Moon. What is the Milky Way? And how is pizza involved?